Not all pie fillings require baking, but the pie crust certainly does. 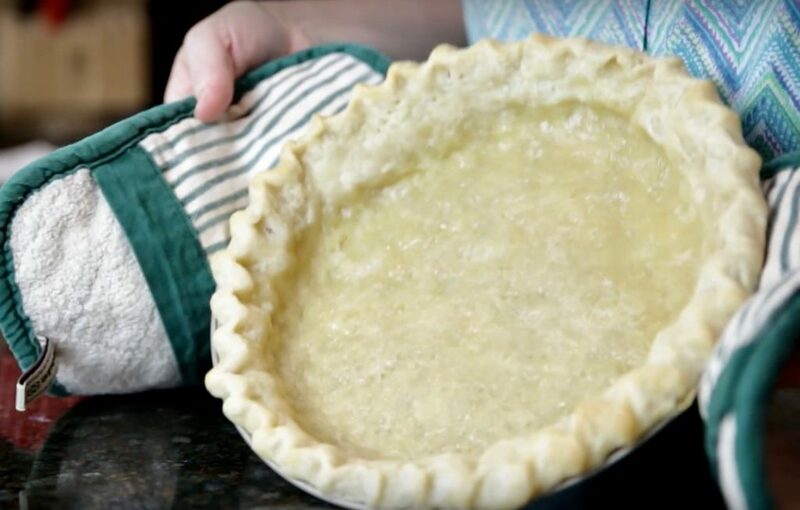 Use this simple technique to blind bake a pie crust before adding the filling. 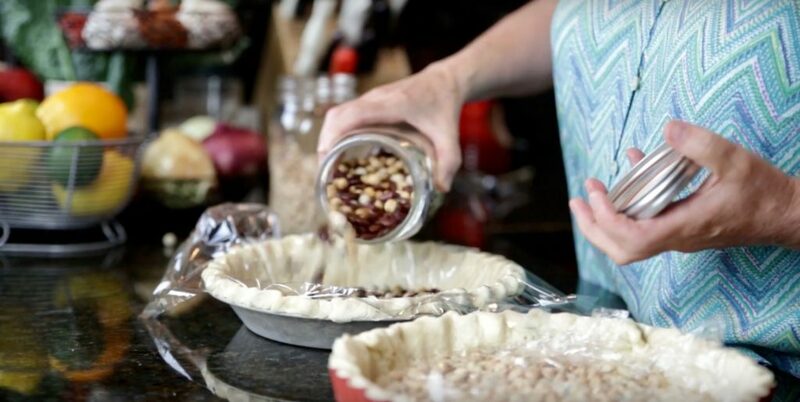 To blind bake a pie crust, place the dough in a pie dish, crimp and then use a fork to gently poke holes around the sides and bottom of the dough. This allows steam to escape and prevents the bottom of the pie dough rising into a small hill. 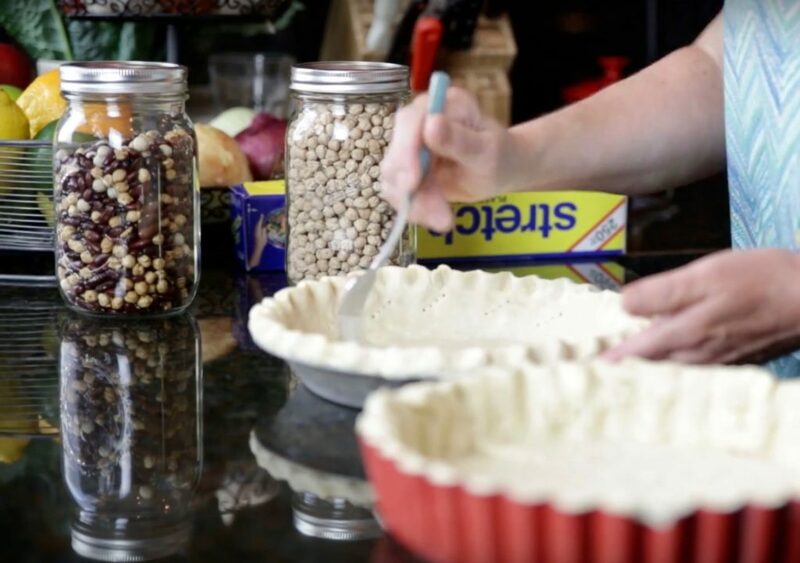 Place a piece of plastic wrap, no worries, it doesn’t melt, parchment paper or foil in the bottom of the unbaked shell and fill with pie weights. Pie weights are sold in stores in small quantities and tend to be expensive. An excellent and inexpensive alternative is a one-pound package of dried beans. Cool the beans after removing and store in a covered container for reuse. Baking with the beans in the shell and removing about 20 minutes in. Return the pie shell, without the beans or liner, and continue baking until golden brown. Cool the shell before adding filling. On occasion, it pays to blind bake a pie crust with a filling that needs to be cooked, such as quiche, which makes the bottom crust soggy. See our recipe for Bacon Spinach Quiche. See the How To Blind Bake a Pastry Crust Here.